Add some extra zing to your recipes with this creamy cheese bursting with sharp cheddar flavor. 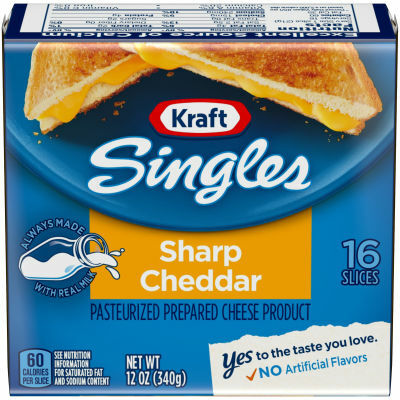 The unmistakable melt of Kraft Singles and sharp cheddar flavor is guaranteed to enhance your next sandwich, grilled cheese, or burger. Serving size 1 slice (21g).